Case competitions are a favourite past-time for many Business and Economics Students. They beef up the resume, and provide you with skills you'll carry into the workforce. 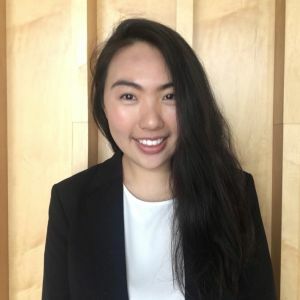 To find out more about the comps, we asked Angie Zhang, Chief Financial Officer of Melbourne Business School Student Association, a case competition veteran. Case competitions allow students to learn outside the classroom, challenge themselves and meet like-minded individuals. Many case competition organisers also hold workshops which are designed to help students approach the case and gain invaluable knowledge. I believe it’s a great opportunity to test the waters if you have been considering consulting as a career, as the experience (and intensity) mimics that of being a consultant. In University, students are often advised to network, and case competitions are the perfect opportunity to do so. Though the Citi Global Markets Challenge (GMC) was finance specific, many cases are not degree specific and encourage multi-disciplinary teams, which allows students to team-up with and work closely with other students from different academic backgrounds. There are also many opportunities to meet and learn from other participants through the competition, at events such as the launch. In some cases, students may even gain exposure to the host company. A case competition is also a great thing to have on your CV, as it not only shows initiative and co-curricular involvement, but gives you examples to talk about demonstrating teamwork, time-management and innovation. I personally end up talking about a case competition in every interview, as I find it is a little more interesting than your typical university assignment teamwork scenario. There is no doubt that case competitions require concentrated time and effort. It may seem impossible to fit in case competitions with university and work commitments, but it is definitely possible, especially as it is usually a short period of time. Case competitions tend to be one-week long at most. It’s a fun (albeit challenging) experience that’s worth the time, effort and intensity. In my most recent case, I remember heading straight to university to work on GMC after a 9-5 day at my internship, and on another day staying at uni until 5.00am to finalise the slide deck. Participating in case competitions may seem daunting at first, but I urge you to give it a try during your degree, as it is a supportive environment where everyone is open to learning. It allows you to develop critical skills such as presentation and data analysis skills that are invaluable going forward. I would encourage students to keep an eye out for opportunities – the ultimate question is, why not?